Teresa McKinney was born in Saigon, Vietnam, as the youngest of 4 children. Her family immigrated to the U.S. when she was only 3 years old. Growing up in Glendale, California, and speaking only Vietnamese, she quickly learned English and soon developed a love of science and Spanish. Studying abroad for a semester in Sevilla, Spain, Mrs. McKinney graduated from UCSD with a B.S. in Biochemistry/Cell Biology and an Area of Focus in Spanish literature. After earning her teaching credential at SDSU, she taught science at Helix High School followed by 9 years of teaching junior high science and Spanish at Our Lady of Grace School in El Cajon. Mrs. McKinney took a hiatus from teaching but returned to teach Spanish at Good Shepherd and Our Lady of Grace. Mrs. McKinney chose Catholic education because she loves teaching in a faith-filled environment that is based on shared values and morals among teachers, parents, and students alike. Mrs. McKinney’s passions include traveling, cooking, and volunteering at church and school. 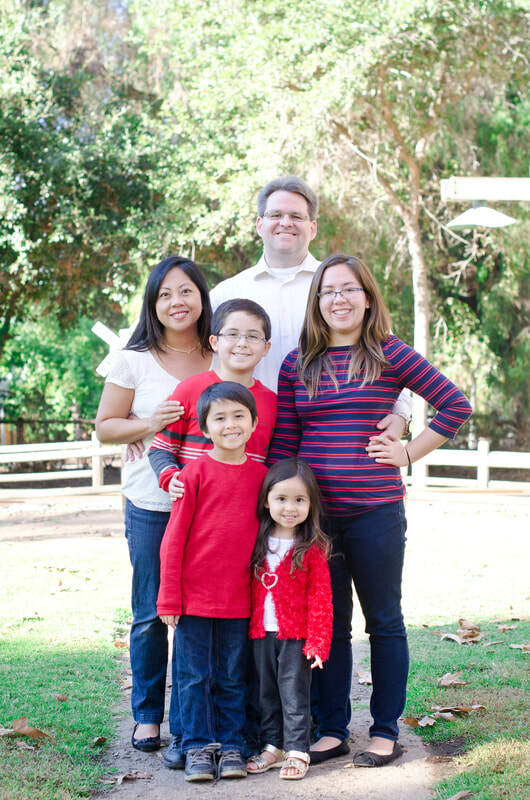 She lives in Mira Mesa with Chris, her loving husband of 17 years, and 4 awesome children, with the younger 3 attending GSCS. She gives thanks to God for her many blessings!